Each of us knows it: The correct identification of the stored summer and winter tires is an issue every year. 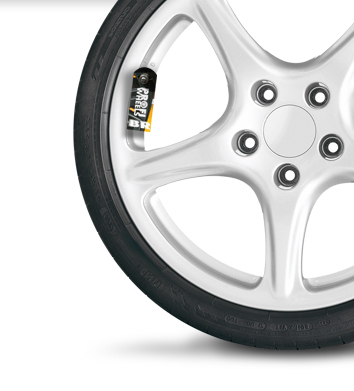 Due to the simple mounting on air valve, identify the IdentiTire your tires and put your brand long term. Design your own IdentiTire with high-quality photo print. The IdentiTire constructed of durable laminate (PET), can be processed by machine and can due to the weight of only 2 grams are used as an ideal mailing article, on-pack article or as magazine insert.